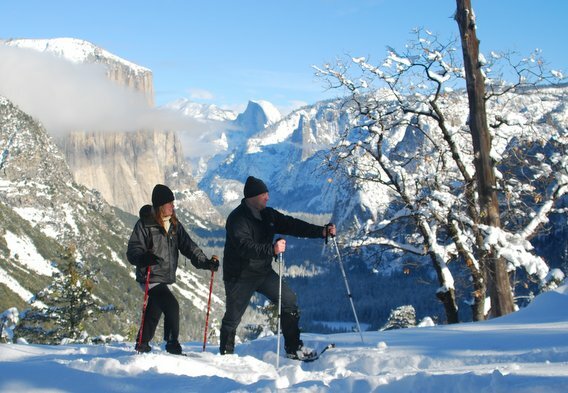 Explore the quiet trails of Yosemite on a pair of snowshoes for a truly memorable experience. The winter months offer exclusive opportunities to enjoy some of Yosemite’s less frequently visited attractions from a truly different perspective. 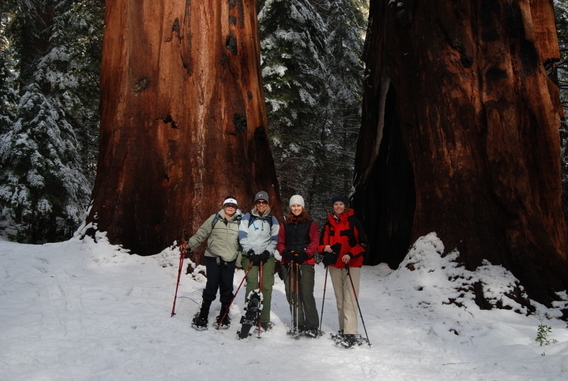 Snowshoeing is a fun winter activity for the entire family. Anyone can master the simple-to-follow techniques, and our interpretive tours are suitable for everyone from beginners to experts. We provide the snowshoes and trekking poles so bring your sense of adventure and see what the summer crowds are missing. Price includes rental of snowshoes and poles. 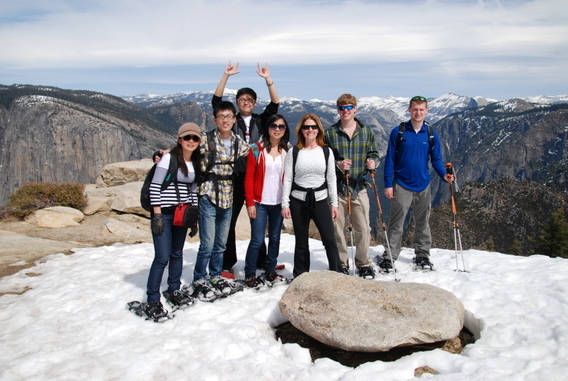 Enjoy a pleasant half-day snowshoe hike on a relatively gentle trail in Yosemite Valley or other lesser known trails. We will cover basic snowshoeing techniques and will tailor the day’s program to your experience level. If the snow level in the area is below adequate, we will conduct the tour as a hike and will most likely extend its distance to compensate. This activity is perfect for beginners and families. Interpretive Tours will travel approximately 3 miles and last up to 4 hours. Discounts are applied when more than one person joins this tour. Achieve new heights on some of Yosemite’s most scenic trails. They will generally be longer than a gentle snowshoe hike with more dramatic elevation gains. These demanding hiking tours are perfect for experienced snowshoe hikers and will offer a different perspective of the distinct character of the Valley and High Country. Tours will travel 6-8 miles and last approximately 6 hours. Discounts are applied when more than one person joins this tour. All snowshoe outings will be conducted as hikes if we do not have a sufficient amount of snow in the area. We operate all our winter tours regardless of weather conditions such as rain and/or snow. Please dress appropriately.